In this rendition we’ve experimented more with Warrior hops like in Pivot #1, though this time around we used a HELLUVA lot more. We paired it up with an absurd amounts of Mosaic hops too, one of the hops we used in Pivot #3. The result is some tropical and candy like aromas, on top of a slight citrus fruitiness and an assertive amount of piney resin flavours. All wrapped up with a moderate bitterness and slightly dry finish. 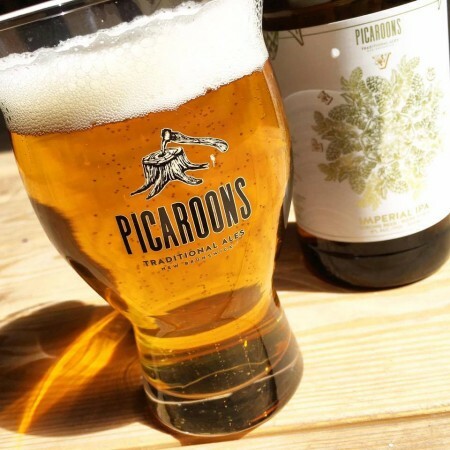 Pivot #6 is available now at all Picaroons retail and taproom locations in New Brunswick, and is being distributed this week to ANBL stores throughout the province. For more details, see the Picaroons Pivot webpage.